Broken down at the worst possible time? Give us a call - we run an exchange service for most common hydrostatic pumps and motors to get you up and running again pronto. We can organize delivery all over Australia and overseas. See Transmission Exchange Units for more information. Hydrostatic Transmission Units: Click to enlarge. 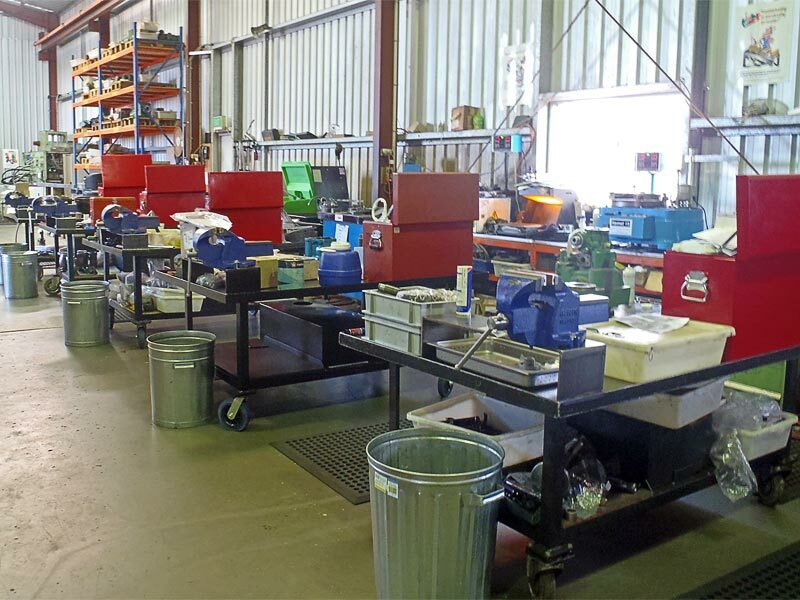 Hydrostatic Services Toowoomba workshop: Click to enlarge. Packing hydrostatics units for transport: Click to enlarge. Hydrostatic Services is owned and operated by Graham Allen, Graham started the business as Allen Hydrepair in 2000 and in 2013 had a name change to Hydrostatic Services. 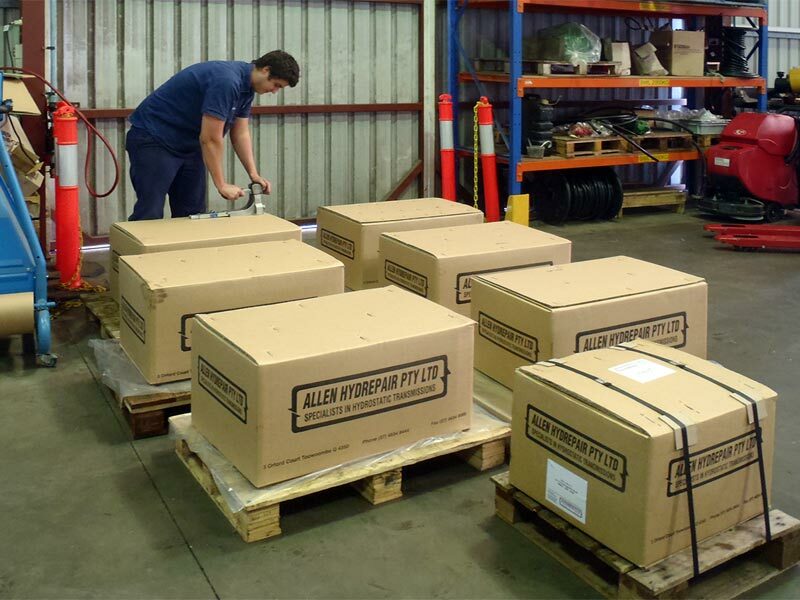 Hydrostatic Services is the only Danfoss Power Solutions Authorized Distributor and Repair Centre on the Darling Downs and is your one stop shop for hydrostatic pumps, motors, electro hydraulic valves and the Sauer Danfoss Plus PLC, steering systems and associated hydraulic parts. 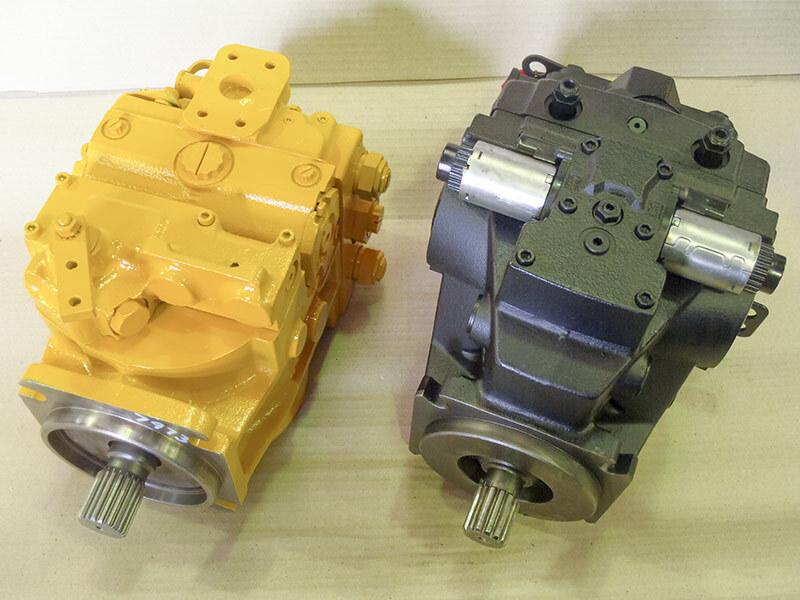 We specialize in the repair of hydrostatic transmissions and service all hydraulic components for the major machinery brands such as John Deere, Case IH, New Holland, Massey Agco etc, on equipment such as headers, cotton pickers, spray rigs, cement truck mixers and road rollers. We also carry a large range of spare parts in stock and what we don't have, we can usually source quickly through our preferred suppliers. The excellent relationship we have built with our suppliers mean that if there is a part available somewhere in the world, we can have it delivered to us in a short time.